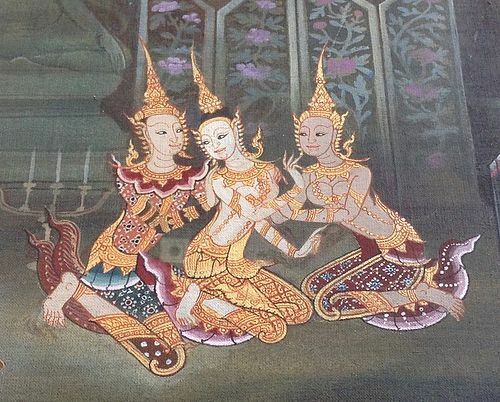 A very fine Original Acrylic Painting by famed Thai Artist Hatthai Bunnag, depicting Busaba being secretively seduced by Inau in a temple, accompanied by her trustworthy servants. Signed and dated bottom left 25.04. 2524 (Buddhist Year). 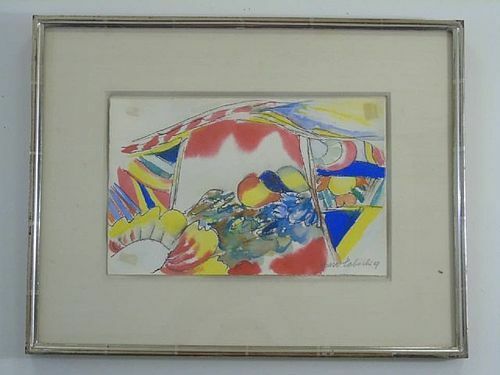 Size framed 58 cm. x 50 cm. Excellent condition.